Cannabissearch.com Buzz Rating: With an intense and immediate rushing effect, Golden Goat is not for the inexperienced or the feint of heart. Golden Goat is a phenomenally potent sativa that leaves users with a head-spinning, dumbfounded experience, after it's all said and done. This is a strain that comes on quick and strong but has somewhat of an elongated comedown, with almost hangover-like effects. The buds are large, chunky and smell of fermentation. In fact, this strain was named after the recycling machines (Golden Goat Machines), that have a distinct fermented soda and beer type of smell. The flavor, however is of sweet berries and nectarines, so users won't have to worry about smoking fermented, moldy soda. For a sativa, these ladies flower quite rapidly, often completing their indoor cycle in as little as eight weeks. This is a strain that is highly versatile and can be grown indoors, outdoors or in a greenhouse. 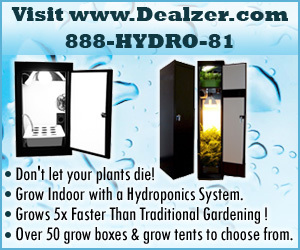 It can also be grown in soil, hydro or aeroponics. For best results in terms of yield, topping or FIMing is recommended. Golden Goat 0 out of 5 based on 0 ratings. 0 user reviews.